Ever since my writing group and I got on the subject of space and colonization, some recurring themes have come up. For starters, there’s the concept of interstellar space travel, the kind that doesn’t involve fictitious Faster-Than-Light drive systems and therefore cannot exceed the speed of light. In those situations, which are far more likely to happen in this and the next century, the question of how to keep crews alive until your arrival keeps popping up. One way is to utilize some kind of cryogenic procedure, where passengers are put into “reefersleep” for the duration of the journey and awakened upon arrival. Though it might sound a bit crude, it’s actually a very practical solution to the problems of how to keep a crew preserved and provided for during the incredibly long voyages that space travel entails. This procedure has come up repeatedly in the realm of science fiction, particularly H.P. Lovecraft’s Cool Air, Robert A Heinlein’s The Door into Summer, Clarke’s 2001: A Space Odyssey, PKD’s Ubik, the Alien franchise, and the Revelation Space universe, just to name a few. The other solution, which is the subject of this post, is to construct generational ships. These are basically “interstellar arks” where people and even entire biospheres are transported from one location to another. Crews are kept in waking conditions, experience subjective time, and entertain themselves in interactive, simulated or virtual environments in order to stay sane until they complete their voyage. Though much more expensive to build, these ships are an equally elegant solution of what to do about non-FTL space travel and colonization. 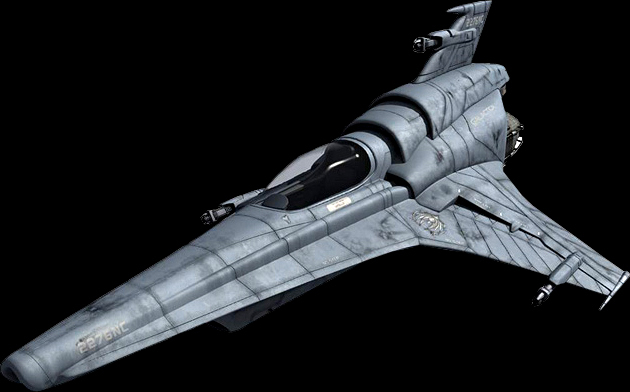 These two have made many appearances in science fiction, and I’ve compiled a list of all the Generation Ships, Space Arks, and O’Neil Cylinders I could find. At the beginning of each episode, it was explained how Earth was used up, prompting humanity to seek out a new home. This is what eventually led them to 34 Tauri in the 22nd century where they began the process of terraforming and settling its the many worlds and moons. Though it was never explained in detail, mainly because the show was cancelled before they could (screw you Fox! 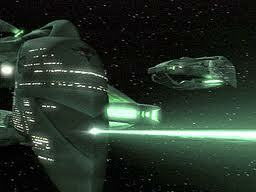 ), indications are given in the movie Serenity and the expanded universe that this involved Generation Ships. In the movie, this was done mainly through visuals, where a large of flotilla dusts off from Earth and eventually finds its way to the system of the White Sun. It was also said that the process of terraforming took decades, which would require that the crews had somewhere to stay while the terraformers did their work. Also, speculative point here, but it would stand to reason that the fleet would have to have some pretty large ships to accommodate both settlers and the kind of equipment they would need. 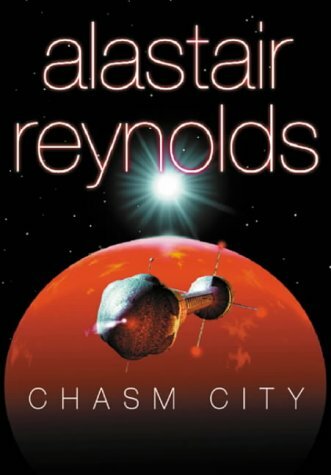 This novel, set in Alastair Reynold’s Revelation Space universe, involves a large thread that follows the settlement of the world known as Sky’s Edge. 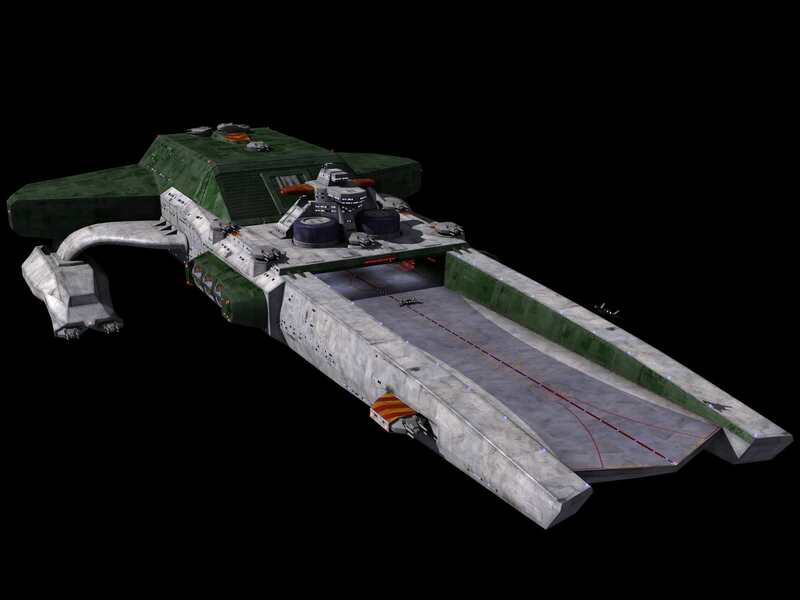 This took place early in the universe’s backstory, before the development of lighthuggers and therefore required that the ships used be able to support crews for long periods of time. From Reynold’s descriptions, these ships were large, cylindrical vessels that boasted vast bays to hold their many cryogenically-frozen passengers. 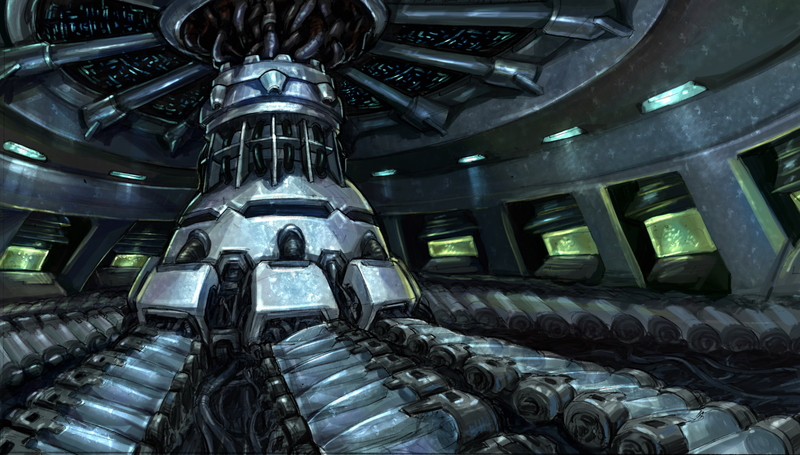 At the same time, the waking crew needed vast facilities to provide for their needs. These included mess halls, sleeping quarters, medical bays, and recreational facilities. Sky Haussmann, one of the children amongst the crew, had a nursery with a robotic clown and virtual backgrounds. This divide, between a waking crew and frozen settlers, represents a sort of compromise between the cryoship design and the generation ship. On the one hand, you’ve got the majority of your crew at near-frozen temperatures and perfectly preserved for the voyage. On the other, you’ve got a crew walking about and looking for food, rest and entertainment. However, it still qualifies, and even inspired my group in our quest to design the perfect story for colonization! 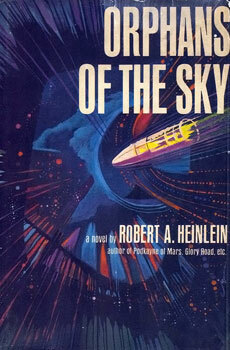 One of the earliest known examples of the use of generation ships in sci-fi, this two-novella set was also one of Heinlein’s first works. 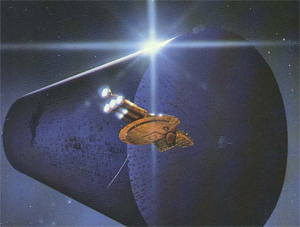 Like Clarke’s Rendezvous with Rama, it features a massive cylindrical ship that is drifting through space. 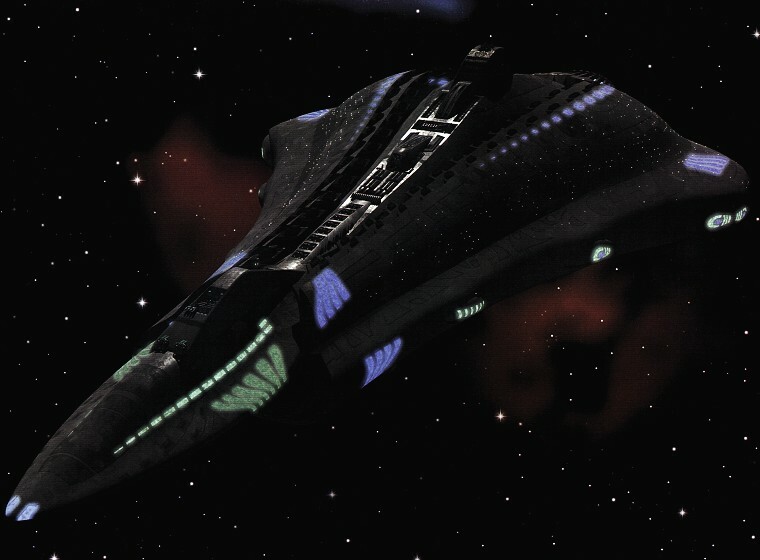 But unlike Rama, Heinlein’s ship, known as the Vanguard, has become a derelict that is permanently adrift in space. As the story goes on, we learn that this was due to a mutiny which killed all the piloting officers many generations back. Since that time, the descendants of the surviving loyal crew have forgotten the purpose and nature of their ship and lapsed into a pre-technological culture marked by superstition. In fact, they now view their ship as the cosmos itself, and interpret its “voyage” as a metaphor. The crew are also ruled by an oligarchy of “Officers” and “Scientists”, at the head of which is the descendent of the original captain. Much like pre-industrial times, most crew members are dedicated to a simple life where they tend to agriculture and are illiterate. Seldom does anyone ever venture to the “upper decks” where the “muties” (aka. “mutants” or “mutineers”) are kept. These individuals, it is learned, know the truth of the ship’s purpose, another reason why they are ostracized from the rest of the crew. As you can plainly see, this book not only featured a generation ship and some rather hard science when it came to colonization, it also raised some valid and interesting questions about how space travel and confining environments could effect subsequent generations of people. Those who were born into an enclosed environment would come to know it as their whole world. And in the absence of external, verifiable facts (such as messages from Earth or historical records), they could even be led to believe there was nothing beyond their walls. Similar in tone and setting to Heinlein’s Orphans, this story by Ursula K. LeGuin focuses instead on the psychological impact that generational travel would have on a human crew. 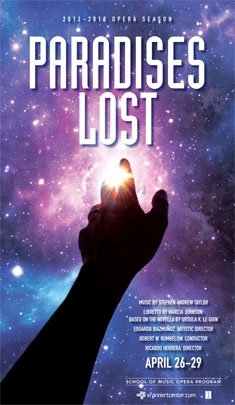 Adapted into a musical, this story explores the basic question of what happens when you spend your whole life (and entire generations) traveling toward a goal, only to find that the endpoint has become otherworldly and unattainable? The story takes place aboard a generation ship known as the Discovery, where people are born and die on a trip to colonize a distant planet. Much like the Orphans, the ship becomes their entire universe and begins to seem more tangible to them than Earth or their mission to colonize a new world. The reason for this quite simple; as the journey goes on, those who knew a life on Earth are slowly dying off, and subsequent generations know about these things only through tales and lore. As a result, a new religion is borne which teaches that the ship is “spaceship heaven” and that it is bound for eternity. This religion is known as Bliss, and the younger generation are embracing it against the wishes of the older. The story is told through the eyes of two elder characters – Hsing and Luis. They know their lives will end on board the ship and that their mission lies in the hands of future generations. Naturally, they worry since said generations are convinced that they should never leave the ship they call heaven. One of the best examples of a generational ship, which extra-terrestrial in origin! 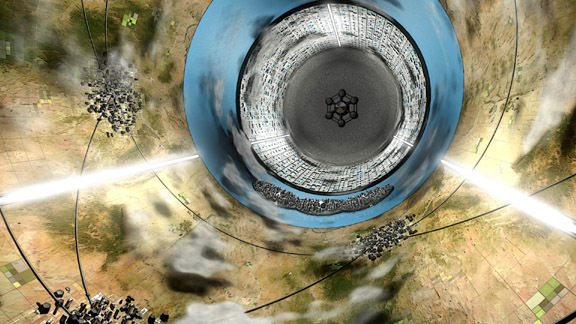 Known as Rama, this massive space cylinder was basically a self-contained world that was carrying the Raman civilization from one corner of the galaxy to another. When a crew from Earth arrive and begin to survey the interior, they begin to notice several tell-tale features. For one, the interior contains several structures which appear to be arranged in “cities” – odd blocky shapes that look like buildings, and streets with shallow trenches in them, looking like trolley car tracks. In addition, there is a sea that stretches in a band around Rama dubbed the Cylindrical Sea, and trenches cut into the sides that appear to be windows. In time, all the machinery comes to light, thanks in part to the admission of light through the ship’s long windows. Small creatures that appear to be biological machines (aka. “biots”) begin to come out as well and conducting routine maintenance. In time, they come to the conclusion that the buildings constitute factories, that the cylindrical sea contains trace elements and bio-matter which they will begin to convert into “Ramans” as soon they get in range of their destination. In the end, it seemed that the Ramans determined that the best way to spread their species was to break them down into their component parts, place them aboard ships that would float for generations through space, and begin recompiling them once they got to where they wanted to go. Ultimately, Sol was just a stopover on their long journey, and more ships were coming in subsequent novels. Still, this first exposure to the alien generation ship was an educational experience! Written by Larry Niven, the Ringworld series is considered one of the greatest examples of exploratory sci-fi. Set in the Known Space universe of the distant future, the story revolves around the discovery and exploration of the Ringworlds, an artificial habitation ring built by an extinct civilization. With the makers of these rings long dead, the rings themselves are adrift and their engineered inhabitants degenerated into a primitive state. These artificial rings are roughly one million kilometers wide and one thousand kilometers across, approximately the diameter of Earth’s orbit. Each one encircles a Sol-type star which provides both life sustaining energy and light. And of course, they rotate, thus providing artificial gravity that is 99.2% as strong as Earth’s through the action of centrifugal force. And night is provided by an inner ring of shadow squares which are connected to each other by thin ultra strong shadow square wire. 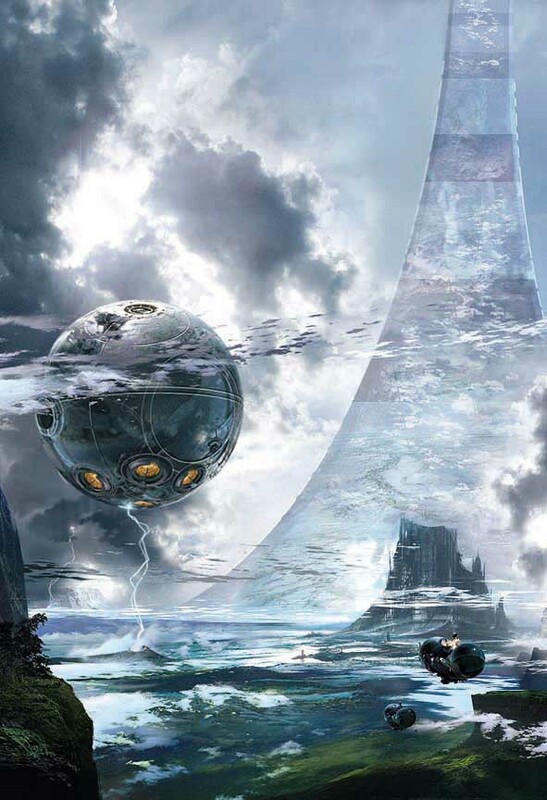 The ringworld has a habitable flat inner surface that is equivalent in area to approximately three million Earth-sized planets. Hence, it is able to sustain extensive ecosystems and all forms of life. This appears to be purpose of the rings in the end, the creation of habitable areas in space that were removed from terrestrial environments. And added bonus was the ability to transport said life over vast distances through space without having to stick them in an enclosed environment. 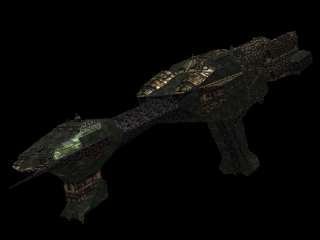 So really, these things were like a gigantic version of a generation ship, capable of moving an entire species or civilization through space. 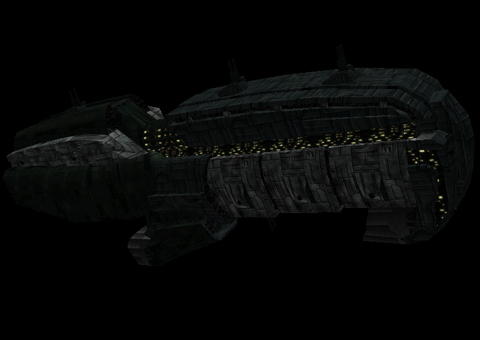 The series Stargate Atlantis contained a few mentions of vessels which fit the profile of generation ships. For starters, there was the Ancients City Ship, a self-contained city that was also a spaceship. 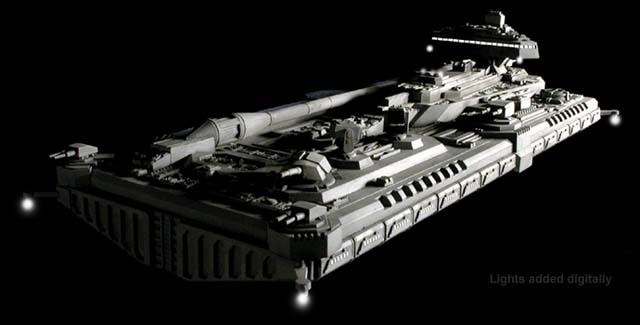 Though it was capable of FTL travel, the vessel was capable of sustaining a city-sized population for extended periods of time as it traveled through space. 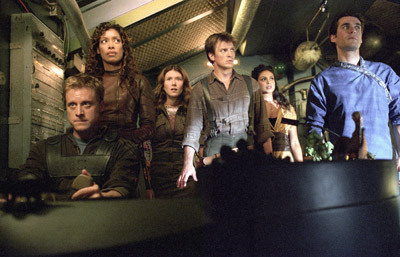 In addition, in the third season episode entitle “The Ark”, Colonel Sheppard’s team discovers a facility inside a hollowed-out moon that turns out to be an ark created by the people of the planet around which the moon is in orbit. The ark was built to preserve the existence of the people from the planet so that they could reemerge and rebuild their civilization. Generations prior, these people had fought a disastrous war with the Wraith in which they were almost exterminated. 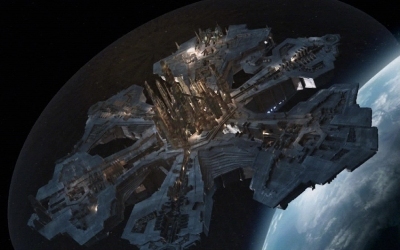 Though not a vessel per se, the moon base served the same purpose as a generation ship. Though the moon orbited their original homeworld and the people really weren’t traveling through space (except in orbit around their planet), the principle was essentially the same. People were kept in stasis until the day came when they could awaken to transplant themselves on the intended world, thus ensuring the survival and expansion of their civilization. Yes, the examples abound! In fact, the concept of the generation ship and related ideas are so fertile that I’m kind of surprised that it took me so long to really appreciate it. But then again, I came to a lot of the classics a little late in life. Ah well, it doesn’t really matter when you get to the destination, provided that you get there and enjoy the journey. Which is kind of the concept behind a generation ship isn’t it? 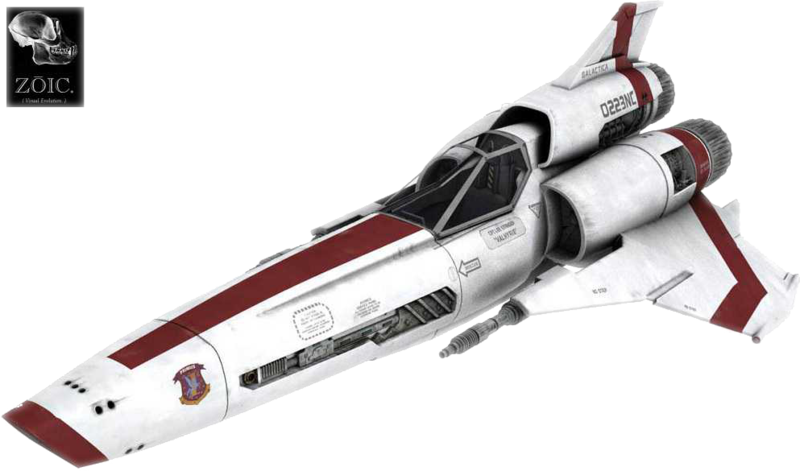 If you can’t just warp your way across the universe – if you got to take your time and drift slow – you might as well travel in style!